Click here for more on dandelions. 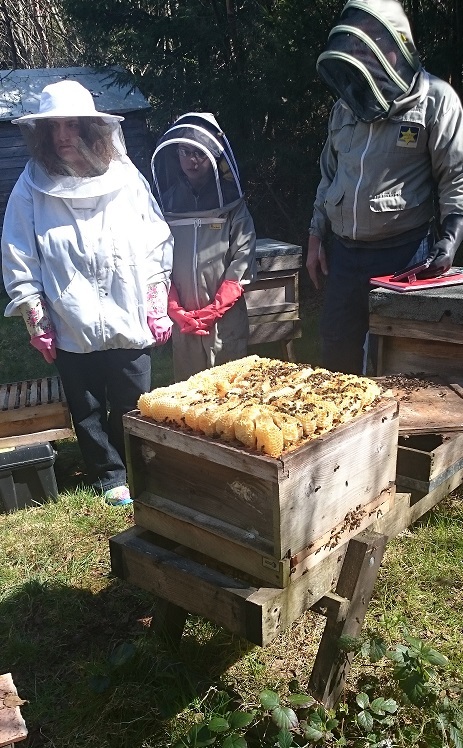 Three out of five hives in our demonstration apiary were like this. 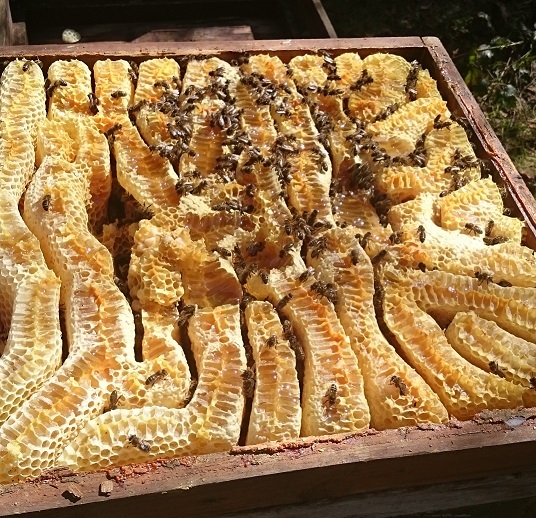 They had been overwintered with Apiguard ekes in place, probably because they were full of ivy honey at the time. The bees had used most of the ivy during the winter but spring inspections were delayed due to cold weather, then came a dandelion flow and they stuffed the space with dandelion honey and drone brood. 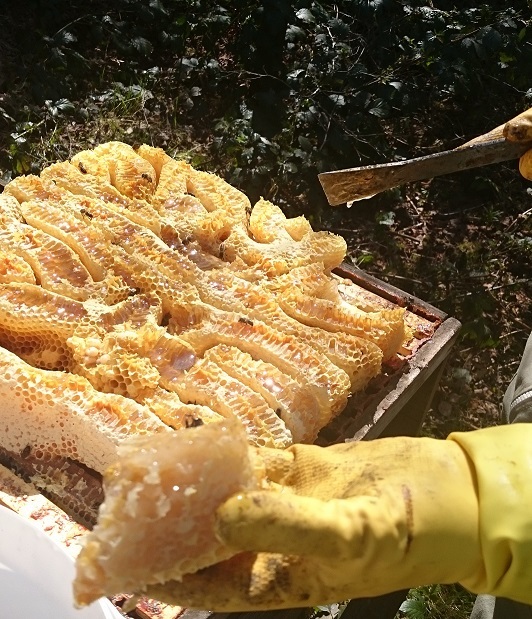 Granulated ivy honey could be seen in the outer combs but the bulk was dandelion honey. 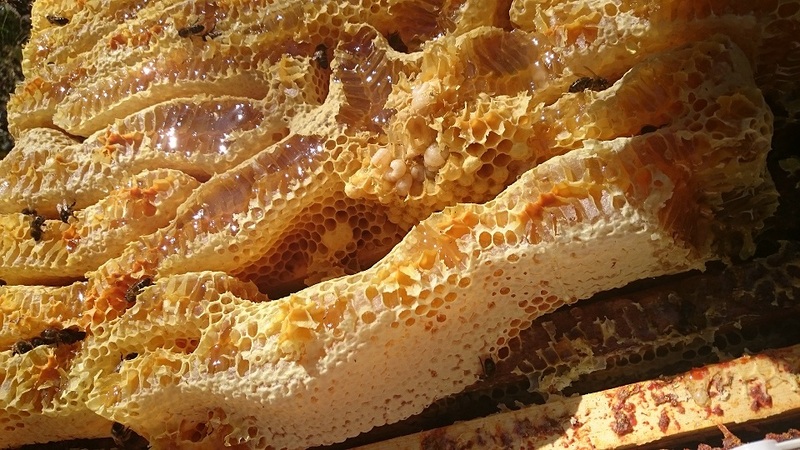 Each hive must have had 15lbs of honey to be scraped from the top bars. Photographs courtesy of Derek Hanley.